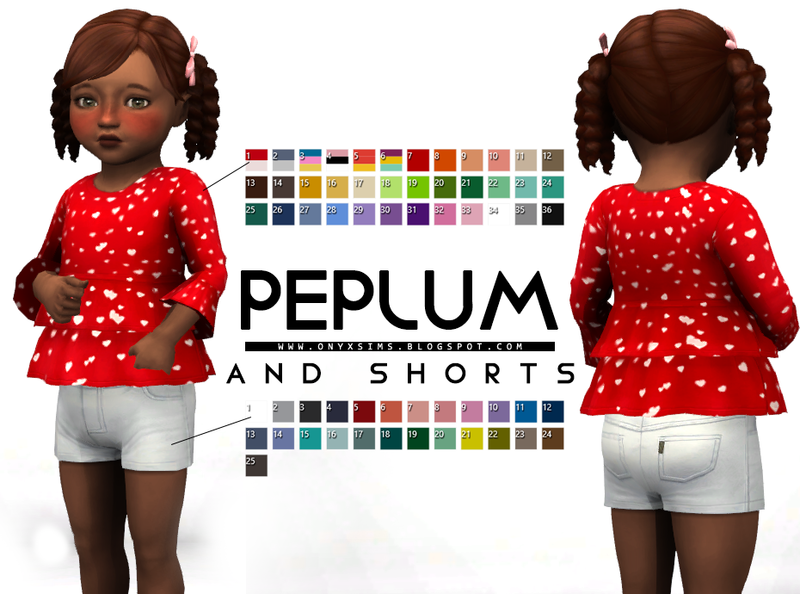 Two new meshes included in this download, Peplum Blouse and Short Denim Shorts. The top is just for little girls and the shorts are unisex. 36 swatches for the blouse and 25 for the shorts. I've included the original diffuse psd for recoloring as well.